The Leukaemia Foundation of Australia’s National MDS Day has just passed (14th July… but I was busy eating croissants so this post is a little late). This time I thought I would tell you about a discovery that was made with the help of MDS. How do healthy cells turn cancerous? Their DNA gradually accumulates errors. Most of these errors aren’t important, but occasionally they stop the cell from working properly. They might cause a cell to grow out of control – and this can lead to cancer. Myelodysplastic syndromes, or MDS, are a range of blood disorders caused by such errors in the genes. Some types of MDS are relatively mild, but about a third go on to become acute myeloid leukaemia (AML). Thanks to research on MDS we understand its causes a lot better than we did ten or fifteen years ago. My lab recently published a paper describing three cases of poor prognosis MDS and one case of AML with unusual but remarkably similar changes to the DNA. This complicated structure could not have been predicted by the standard methods of analysing cancer DNA or chromosomes. These features showed us the likely steps that led to these diseases. Each long string of DNA is folded up neatly to make a chromosome. This is a Claymation that shows how Barbara McClintock’s classic breakage-fusion-bridge cycle causes chromosome abnormalities. The video shows one way that chromosomes (packages of DNA) can become disorganised. The telomeres (that cap and protect the ends of the chromosomes) are shown falling off, making sticky chromosome ends which join together (see NOTE 2). It’s well accepted that these changes greatly increase the chance of cancerous gene changes. This process has reproduced many, many times in the lab. The problem is that it’s not often been demonstrated in actual cancers. But we did that. Sometimes only part of the telomere erodes away – enough is lost that it no longer protects the chromosomes from sticking together. But there can be enough telomere DNA left to be a molecular signature of the telomere. The arrow points to green dots in the middle of a chromosome. This is the left-over telomere signature that tells us that this abnormal chromosome was made by the joining together of sticky chromosome ends that had their telomeres eroded away. The other green dots are at the chromosome ends. The left and right photos show the same cell but in the right one the abnormal chromosome is identified by its red and blue label. In our four cases we found that there was a small but non-functional piece of telomere DNA left behind where the two chromosomes joined. Because the telomeres didn’t function, the two chromosome ends could stick together. These caused breakage-fusion-bridge events that caused a protective tumour suppressor gene to be lost, and may have also caused cancer-causing genes to multiply. MDS and AML have similar genetic causes, so if we learn about the causes of one of them it can help us understand the other. This is often the case with cancer research in a broader sense – if we understand the basic mechanisms in one cancer it can help us understand the mechanisms at work in other cancers better. Telomere fusion could potentially play a role in any cancer, so our MDS research is relevant to cancer research in general. The gene errors discussed here usually occur in the body cells rather than the reproductive cells, so they’re not inherited. For simplicity the Claymation shows telomere fusion in chromosomes that are dividing. In fact it probably occurs when the DNA is unravelled in the interphase nucleus. This is cross-posted to Fireside Science on the SciFund Challenge network. The 14th July is the Leukaemia Foundation of Australia’s annual National MDS Day. Myelodysplastic Syndromes (MDS) make up a group of diseases that have abnormal blood cell production. MDS is sometimes called pre-leukemia because about a third of patients with MDS will develop leukemia. MDS is caused by errors in the bone marrow’s genetic information. These errors can often be seen down the microscope as changes to the chromosomes. MDS patients typically have their bone marrow cells analysed to find chromosome abnormalities. Why? These chromosome abnormalities can reveal important information about their disease, such as diagnosis, appropriate treatment and prognosis. The IPSS-R is a system that’s used to work out prognosis for MDS patients – that is, how they will do – what their health outlook and risk of developing leukaemia are. A prognostic score is a number calculated from different aspects of the disease. A low score indicates low risk and risk increases as the score goes up. Cytogenetics, or chromosome analysis, is needed to calculate this score because “chromosome abnormalities” is one of the five categories used in the calculation. For example, if the cells are missing a Y chromosome nothing is added to the IPSS-R prognostic score, whereas if four or more chromosome abnormalities are found, 4 points are added to the score, which can almost single-handedly take the disease into the high (4.5-6) or very high (over 6) risk category. Normal chromosome 20 (left) and abnormal chromosome 20 missing most of the long arm (“del(20q)”). The abnormal chromosome pictured on the right is a deleted chromosome 20 – it’s lost a big chunk carrying hundreds of genes. This is one of the well-known chromosome abnormalities in MDS. We can work out which genes have been lost using higher resolution molecular analysis, but this is not necessary for calculating the IPSS-R prognostic score. One point is added to the score if there’s a deleted chromosome 20 and it’s the only chromosome abnormality. It’s one of the chromosome abnormalities in the “good” cytogenetic category. So chromosome analysis is an important piece of the puzzle in the care of MDS patients. What does IPSS-R stand for? Revised International Prognostic Scoring System for Myelodysplastic Syndromes. Roald Dahl had anything but a boring life. I would say he followed his dreams. 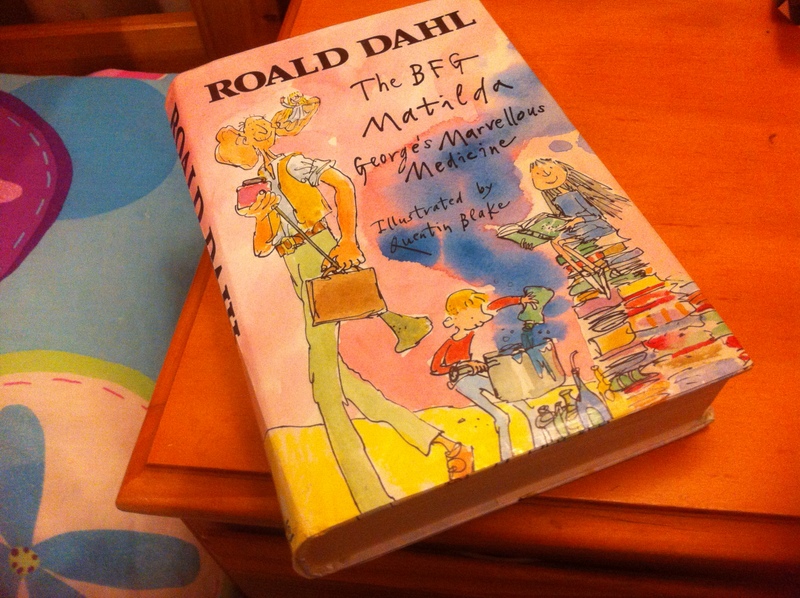 He told stories that have been loved by children all over the world, like Charlie and the Chocolate Factory and Matilda. He wrote the screenplay for a James Bond movie, Chitty Chitty Bang Bang and other movies. During World War II he was a fighter pilot and sent intelligence to the spy agency MI6. He died in 1990 from MDS when he was 74. MDS is short for myelodysplastic syndromes, which are a rare group of related diseases in which the blood doesn’t function properly. Today, the 14th of July, is the third National MDS Day in Australia. A year ago I wrote about Carl Sagan and MDS. Sagan was a very well-known scientist who took quite an interest in his disease, and we can hear him speak about his illness and his fight with it in the media (there’s a link to an interview at the end of this post). But there’s not much detail, on the internet at least. about Dahl’s illness. One biography just says he went into hospital with an unknown infection in November 1990 and died 11 days later. (Interestingly for me this was the John Radcliffe Hospital in Oxford, UK, and I was working there at the time.) Twenty percent of MDS patients do have infections that are serious enough to need a hospital stay, in fact that’s what finally killed Sagan too. Organisers of a charity event for MDS in the UK this year took the trouble to explain what MDS is in their advertising material. MDS has a public image problem – almost no public image that is. Myelodysplastic syndromes (MDS for short) can be mild, severe, or anything in between. About a third of people with MDS will get leukaemia (acute myeloid leukaemia or AML). I’d like to think Mr Dahl would have made a good scientist. Apparently his mother wanted to pay for him to get a good university education but he passed up the offer because he would rather go exploring. He also had a wildly creative imagination, which is always good for investigating things. Indeed, whe did help invent a medical device – the Wade-Dahl-Till valve – that was used to save children with brain injury. Roald Dahl knew about the importance of vaccination first-hand. His daughter Olivia died from Measles when she was seven. He wrote a passionate letter pleading with parents to get their children vaccinated. His widow Felicity set up the Roald Dahl Foundation, which is now known as the Marvellous Children’s Charity. It continues the work he started, helping seriously sick children. I think the Marvellous Mr Dahl would have approved. The Leukaemia Foundation of Australia has information for patients and carers, and supports research in Australia. There’s also the MDS Beacon, the MDS Foundation, and information available through several other leukaemia and health-related organisations on the net. This poster is on the wall by my desk. It was drawn by my young friend Nicholas. Nicholas is really keen on all things science and came with his mum to have a look at a science lab. 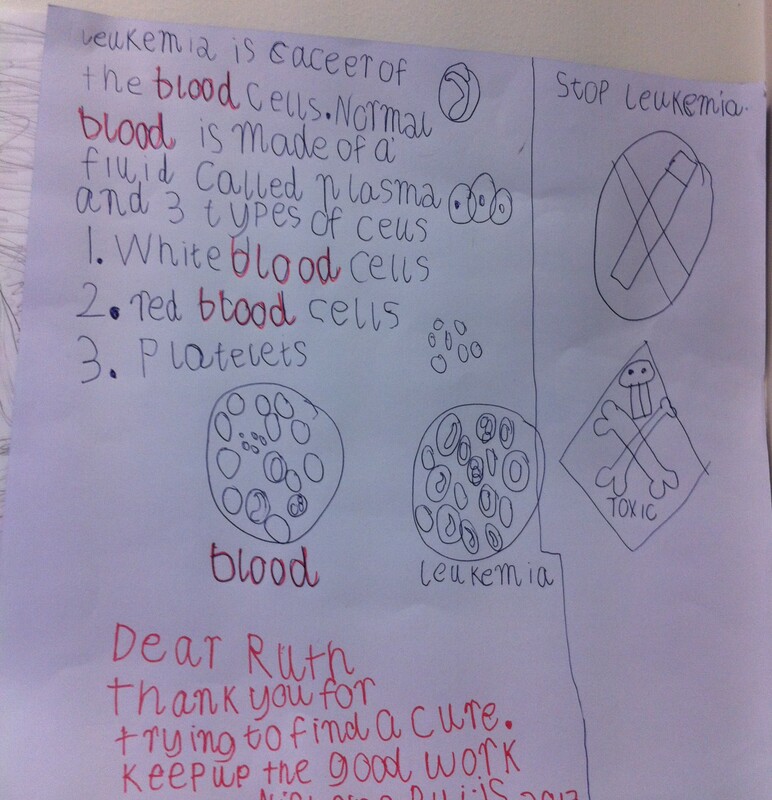 He had done his research on leukaemia and brought me this cool picture. Thank-you Nicholas. On the 9th of December there was a large oil spill in the Sundarbans of Bangladesh. Most of the 350,000 litres of furnace oil in an oil tanker spilt into the water. Check out these images from the BBC. The Sundarbans in Bangladesh is the world’s largest contiguous tidal mangrove forest. The mangrove ecosystem is ecologically valuable, filtering contaminants out of the water. Mangroves are already threatened around the world. The Sundarbans is noted for its exceptional biodiversity but the oil spill is threatening many unique species including the Bengal tiger and the Ganges river dolphin. And mangroves are particularly sensitive to oil spills. There’s also a huge human cost. The locals are not in the lucky position of having a government with money and technology to help clean up the mess. They’re scooping the oil out of the water with their bare hands. This oil is toxic and cancerous. Its components cause severe (poor prognosis) leukaemia. Children are exposing themselves. They need our help. I’ve found a bit of news coverage online, but little from Australia’s government sponsored news broadcasters. There’s nothing from SBS (our overseas-focussed broadcaster), and only the one story from our ABC. This environmental disaster affects us not only because of the damage to a UNESCO World Heritage Site and the threat to wildlife, but also because the water in the Sundarbans is everyone’s water – it reaches your country in a manner of days. If the media won’t cover the story you can help play a crucial role. Pester the news media. 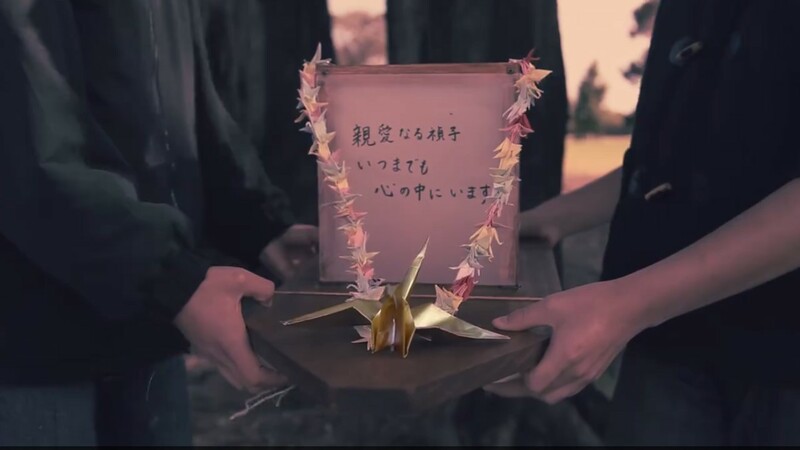 Spread the story on social media. An international response team including oil spill experts has now been sent to the Sundarbans in response to a request to the UN from the government of Bangladesh. There’s an indiegogo campaign to raise money to get extra help to the Sundarbans – the not-for-profit Water Defense organisation wants to send a team to help clean the water. Why donate if there’s a UN team? Besides the obvious statement that a faster cleanup is better, there’s some controversy about using chemical dispersants to clean up oil spills. These dispersants end up in the water. The Water Defense team has a specially developed water cleaning foam that soaks the oil out of the water. Follow Jennifer Lewis’s River Dolphin blog. Jennifer is the Director of the Tropical Dolphin Research Foundation. 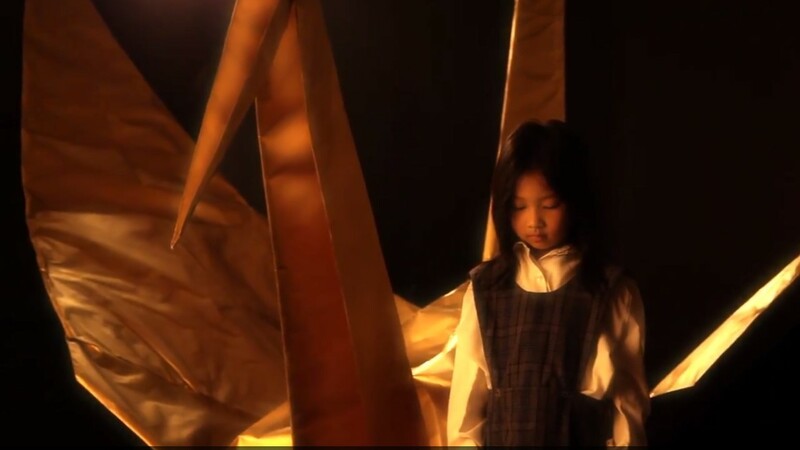 She reports on the human impact of the oil spill. As we’ve seen in previous posts, cancer is caused by some sort of error in the DNA of the cancer. Human DNA comes in 46 long strings called chromosomes and it sometimes breaks, but luckily the break is usually repaired. However, sometimes the repair process gets it wrong – for example two DNA ends are joined together that aren’t meant to be together. This post is about a fairly recent discovery called chromothripsis. I’m going to describe it in terms of language, because after all, DNA is a language, and I think it will help picture what’s going on. the meaning of life —-> the fine game of nil. The rule for “perfect” anagrams is that all the letters are re-used in the new sentence. Setting up printing originally involved arranging individual letters in a particular order on a plate. If the letters were dropped it wouldn’t be easy to get the letters back in the right order. If you had to put them back together in a hurry they’d be jumbled up and you wouldn’t get a meaningful anagram. In fact you’d probably have some missing letters left on the floor in a corner somewhere. Ok it’s starting to get complicated, but something similar can happen to DNA! 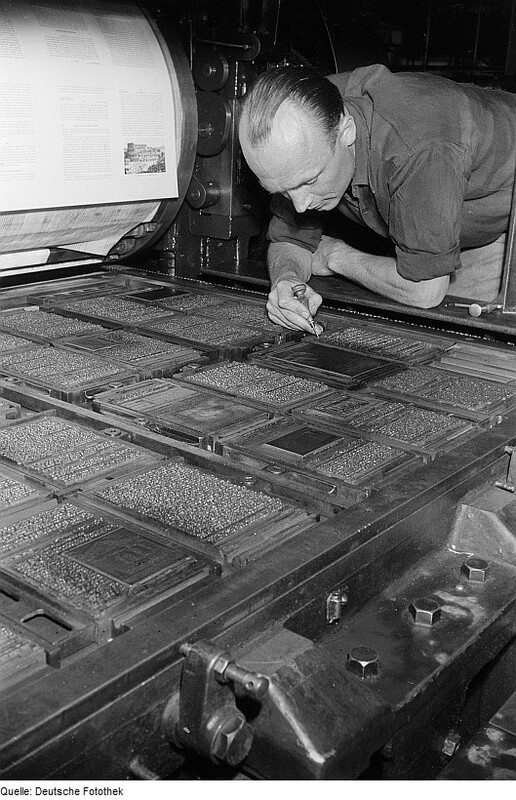 A printer inspecting a large form of type on a cylinder press. Each of the islands of text represents a single page, the darker blocks are images. The whole bed of type is printed on a single sheet of paper, which is then folded and cut to form many individual pages of a book. At the beginning of 2011 Joshua Stephens and his colleagues published a paper that got a lot of cancer biologists excited. They noticed that the DNA of some cancers was very messed up. They even said that they’d found this in 10% of the cancers where they looked for it. Not only that, but they thought this had happened all at once by shattering of the chromosomes and rejoining of the broken pieces in a random and totally incorrect order. I had a couple of nice examples of chromothripsis acute myeloid leukaemia, but as someone who’s interested in chromosomes I wanted to talk about the chromosomes that were made by this whole chromothripsis process. There was no word for these new chromosomes so I came up with the term “anachromosome“. I like it because it has connotations of “new”, “remade”, and my favourite, “anagrams”. Although the anagram rule says all the letters have to be reused, there are apparently “imperfect” anagrams which can leave out some letters to make the anagram work. This is more like an anachromosome. Inevitably lots of bits of chromosome don’t make it into the anachromosome and so are lost. Such wholesale shuffling and loss of large sections of DNA will probably kill the cell in most cases, but just occasionally it will produce a cell that can outgrow its neighbours – and turn cancerous. This shows how the chromosome shatters and rejoins in a random order. Note that the two ends of the chromosome and the centromere (represented by a circle) are preserved. These are essential features of a functioning linear chromosome. From MacKinnon and Campbell 2013. Cancer Genetics 206:238-251.